A profile of the trade association for the UK’s security industry, the BSIA, which has helped shape security standards for half a century. The British Security Industry Association (BSIA) is the trade association for the professional security industry in the UK. Based in Worcester, it has helped shape standards in the private security industry for half a century – in 2017 it celebrates its 50th anniversary – seeking to be its unified voice. Its 520-plus members, which range from global companies to small and medium-sized enterprises, manufacture, distribute and install electronic and physical security equipment, and provide security guarding and consultancy services. According to the trade body, BSIA members provide more than 70% of security products and services in the UK by turnover. Chairs and vice-chairs are elected to run specific sections of the BSIA membership. These sections include: access and asset protection; CCTV; information destruction; lone worker; police and public services; security guarding; security systems; specialist services; and many others. The association applies strict membership criteria, providing assurance that member companies are financially sound and run by directors of good repute, as well as possessing ISO 9001 certification accredited by a UKAS-certification body (where applicable). By ensuring that the views of its members are taken into account in the development of legislation and subsequent amendments, the BSIA helps influence government policy. Its lobbying efforts provided impetus for regulation of the security guarding industry through the Private Security Industry Act in 2001. In more recent years, the BSIA has provided input into a range of legislation, including the Protection of Freedoms Act in 2012, while continuing to represent the industry’s views on regulatory change as part of the Security Regulation Alliance. The BSIA has also been involved in seeking clarification on the Data Protection Act and the Human Rights Act, legislation that has a significant impact in areas such as CCTV. As part of its role in representing the UK security industry on British, European and international standards committees, the BSIA nominates several members as ‘experts’ to sit on development committees and working groups. Where the industry lacks standards, the association’s members develop their own codes of practice, which the British Standards Institute is said to use to provide benchmarks for the wider industry. The association also undertakes an education role, which it delivers, in part, through its wholly owned subsidiary Skills for Security. This skills body works with employers to improve security skills and professional standards by providing access to training courses and qualifications for people employed in private security roles across the UK. Skills for Security offers a range of public courses, as well as options for in-house delivery. In addition to training, the BSIA carries out its education role by publishing guides and documents, providing advice on a range of issues, from navigating the CCTV regulatory landscape, to protecting vacant properties, to installing security systems. Each year, the BSIA organises and participates in exhibitions, conferences, awards ceremonies and seminars. This annual programme of events provides BSIA members and key industry stakeholders with valuable engagement and networking opportunities to meet and share best practice. As well as being a long-term partner of and exhibitor at IFSEC and its overseas events, the BSIA continues to grow its presence at events regionally; for example, it exhibits at several UK-wide roadshows, as well as regional meetings such as the Manchester Security event and the South East Business Crime Conference. Celebrating the security industry’s achievements is another important part of the association’s activities, with its annual award schemes providing opportunities for members to recognise the contributions made be security professionals on the ground. Schemes include: the Security Personnel Awards; the Apprentice Installer Awards; the SaferCash CVIT Special Awards; and the Chairman’s Awards. BSIA membership gives companies access to a wide range of HR and legal services, providing small businesses with essential advice and guidance, as well as a free legal helpline. Companies can also take advantage of special offers on finance and insurance packages. Support with logistics is another advantage of membership, with discounted parcel courier services on offer, as well as a range of fleet solutions, such as company fuel cards and vehicle finance. There is also the option of Overseas Associate membership, which the BSIA created to help security companies based outside of the UK gain insight into the country’s private security industry. Overseas members get access to a wide range of industry knowledge through the BSIA’s publications, including its quarterly magazine, Spectrum, which contains industry news, examples of best practice and thought leadership articles written by experts in the security field. Membership also provides opportunities for overseas members to work in partnership with UK-based security companies, as the latter will be assured that overseas firms, through BSIA membership, are equally committed to best practice. In addition, members, whether UK-based or abroad, can demonstrate their commitment to high standards though display of the BSIA logo – a hallmark recognised by industry stakeholders and security buyers as representing quality and expertise. How do you discover the best new security products and solutions to protect and safeguard your lone workers? See them in action. 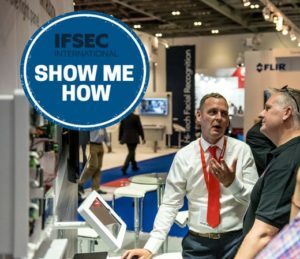 With on-stand demonstrations at IFSEC 2019, you’ll get the chance to speak with designated technicians who will ensure you get a practical explanation of the product, not a sales pitch. The British Security Industry Association (BSIA): a profile A profile of the trade association for the UK's security industry, the BSIA, which has helped shape security standards for more than four decades.